Android users can now download an updated version of Google Maps which allows them to download customisable maps to be accessed offline. 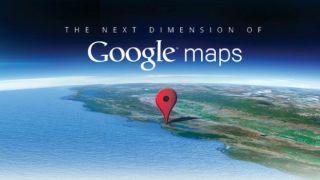 Google Maps 6.9 is being marketed as a tool for exploring new places when you don't have a data connection, perfect for venturing around foreign lands without accruing giant data costs. Once you've narrowed down the area, you can use the phone's GPS connection to position yourself and navigate around the city without using data. The feature had been announced earlier this month, but is now live. The company also announced version 7.0 of Google Earth for Android, which brings improved 3D views of a handful of major US cities and Rome. Beyond that, Google has also rolled-out a new version of its YouTube app for Android, which allows for the pre-loading of clips over Wi-Fi by saving them to a Watch Later list. This will mean users won't have to use mobile data, and won't have to wait for clips to buffer on slow connections. All of the updates, as well as the freshly-out-of-Beta Google Chrome browser (ICS and above only), are available to download now from the Google Play store.